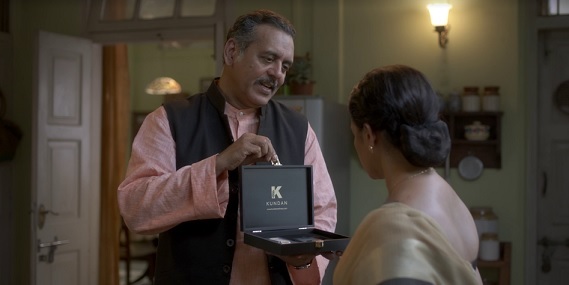 Kundan Gold Refinery, one of the largest private gold refinery in India, has launched a new brand campaign with the tagline “Bharosa Hai toh Hum Hai”. The campaign aims to highlight brand’s commitment and priority towards quality and customer satisfaction. The campaign is launched to strengthen customer’ trust and make Kundan an ultimate choice for customers. Gold has deep routed significance in the Indian culture, its traditions and is an integral part of religious connotations. It holds an auspicious status in Indian marriages and considered to bring blessings of Goddess Lakshmi for the bride and Groom. Therefore, people are more conscious and look for trust worthy source while purchasing a precious metal as a blessing for the new member of the family. The campaign beautifully brings out the message of trust and purity in the new ad. He further added, “Trust plays an important role while buying a precious and expensive item like gold, especially when it comes to gifting this bride or groom. As a brand, we have always understood customer requirements and brought products and solutions matching up their expectations in terms of affordability and quality. We are committed putting our customers first by providing unmatchable experience in buying gold coins." Mr. Saurabh Dasgupta, C'lab (The creative agency behind the TVC, National Creative Director) said, “Gold holds great importance in Indian culture. However, when it comes to gifting Gold, people think of only jewelry, we wanted to change that perception and replace it with Kundan Coins." The TV commercial starts with a woman asking her husband to buy gold as a shagun for their daughter-in law, to which husband nodded that he has already bought it. Hearing this, wife gets annoyed and says, he must have asked her as people nowadays sell anything in the name of gold and one must check whether the gold is pure and certified. The husband smiles and brings a box of Kundan Group Gold Coin and emphasizes that this is from the government approved refinery with 999.9% guaranteed purity and 100% buy back. The wife becomes happy at husband‘s efforts on researching the right product and asks him to gift to their daughter in law. To her surprise, the husband says, this is for you. Kundan has grown into one of the nation’s leading manufacturing and exporting companies of the 21st Century with a turnover of 4 billion USD. In recognition of the company's multi-business portfolio that encompasses a wide range of businesses – from gold, precious metals, gold refinery, cosmetics to chemicals, agro commodities, polymers, petro product and the import of bullion and pharmaceutical items has added to its versatile dynamism. Kundan has been awarded by the Government of India as a recognized 'Four Star Trading House’, a nominated agency, also ISO 9001-2008 certified. Kundan Gold Refinery is a most treasured business unit of “Kundan”. For 20 years, Kundan has marked its presence in precious metals and continuously progressing for the tremendous achievements. 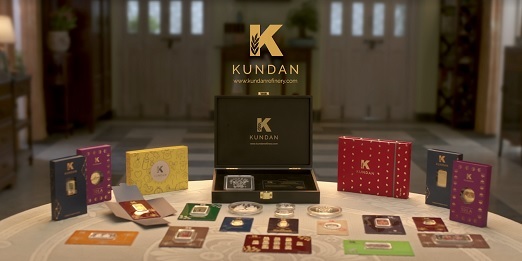 Kundan care Products Limited established one of the largest Gold and Silver refinery in India known as “Kundan Gold Refinery’ well equipped with breakthrough technologies, trend setting labs and highest quality standards. Kundan Gold refinery is acknowledged as major importer of Gold and Silver. It is well known as largest private Gold refinery in India.